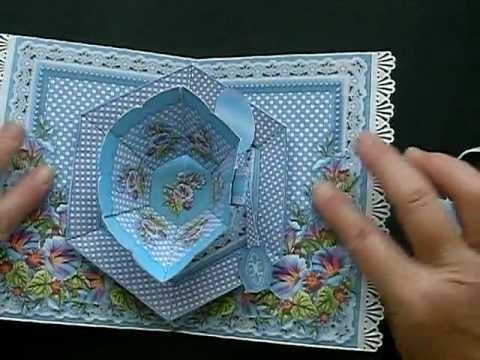 Does anyone have a pop up card that does this??? @TeeAngel - heck of a good price for that file. What a lovely card - I am also impressed with the designers one and as Liz says extremely good value for the file! Go get it - at that price it is worth every british penny! can creative park has one for free http://cp.c-ij.com/en/contents/CNT-0002084/index.html Not as fancy but probably can change it up once you see the mechanism. You are AMAZING... Thank you!! !